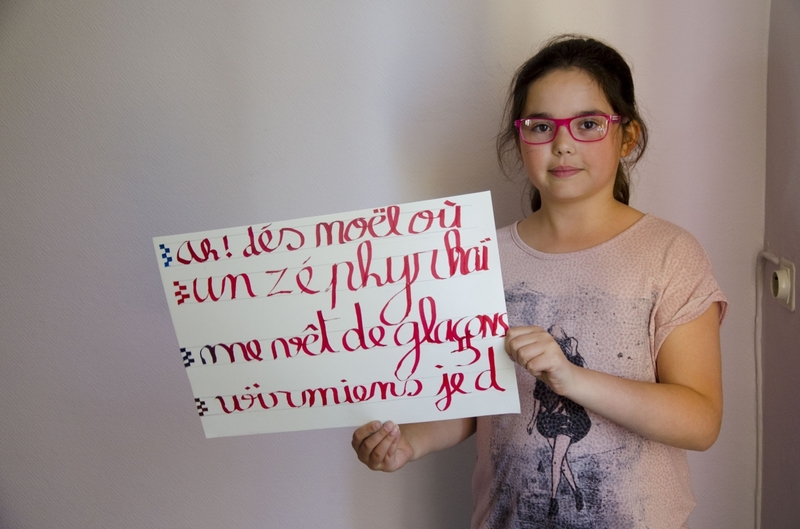 “Taming the Untameable” is a project of artistic and pedagogical residency that questions the fixation of the gesture of writing from the point of view of typography. 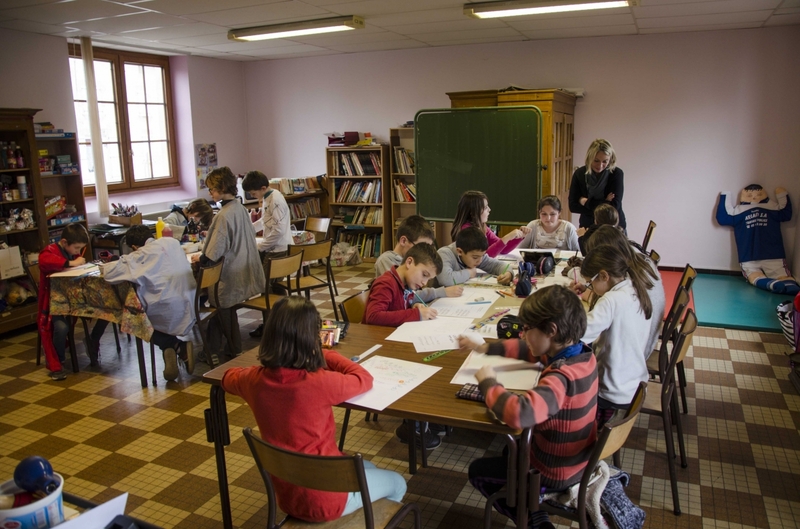 The residence is enrolled in the Création en Cours program, launched by the French Ministry of Education and coordinated by the Ateliers Médicis. 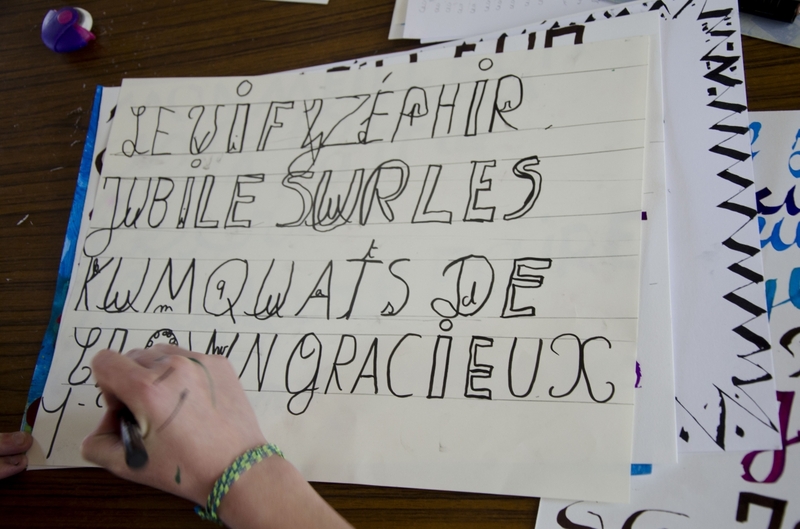 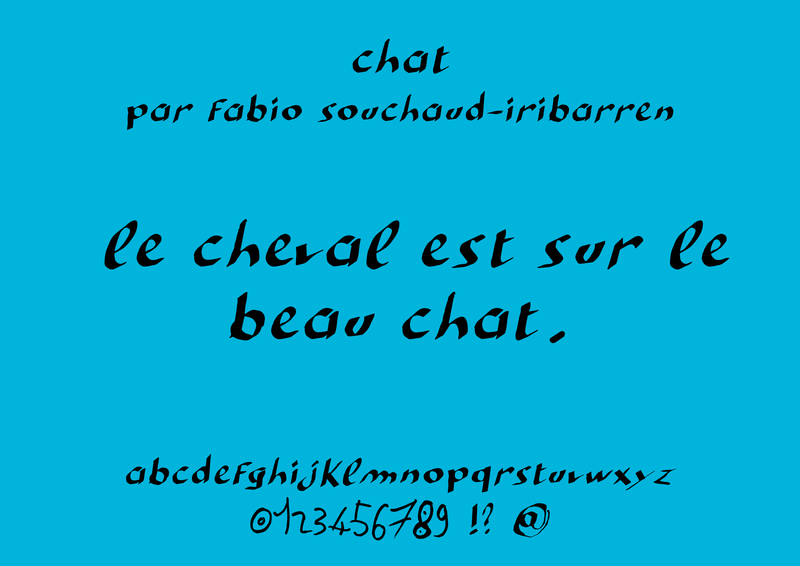 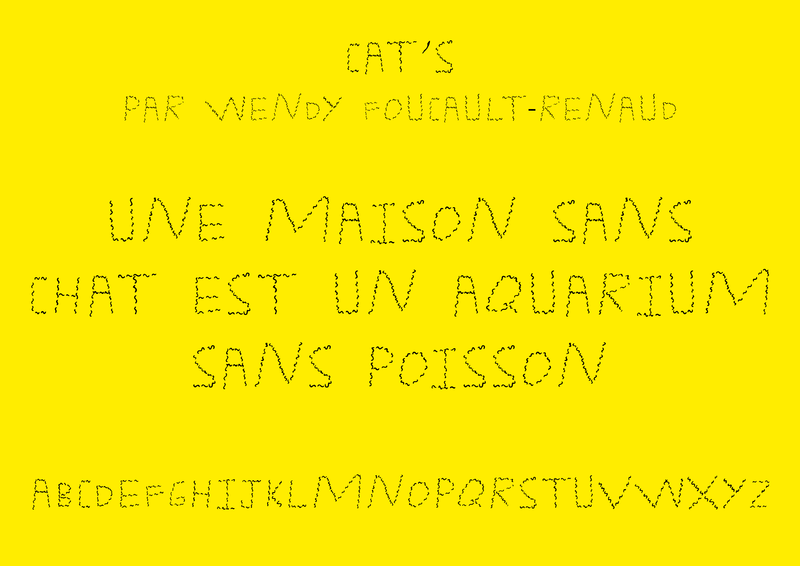 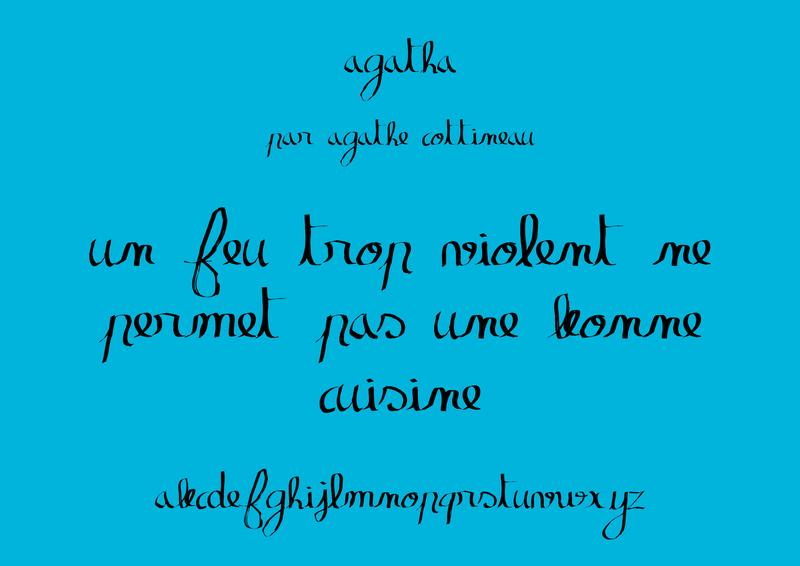 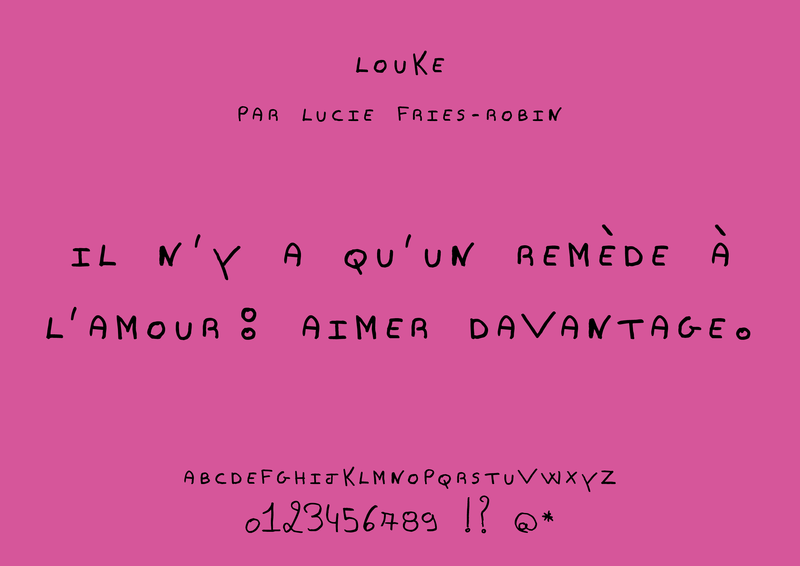 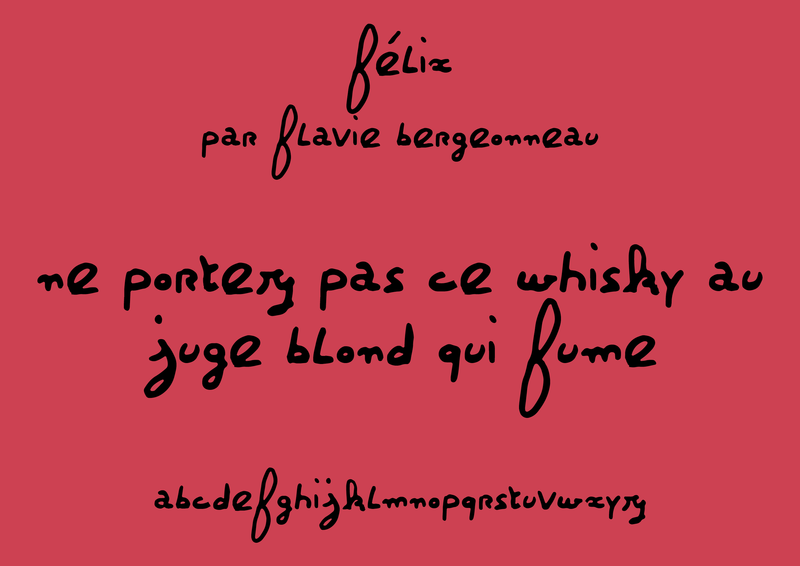 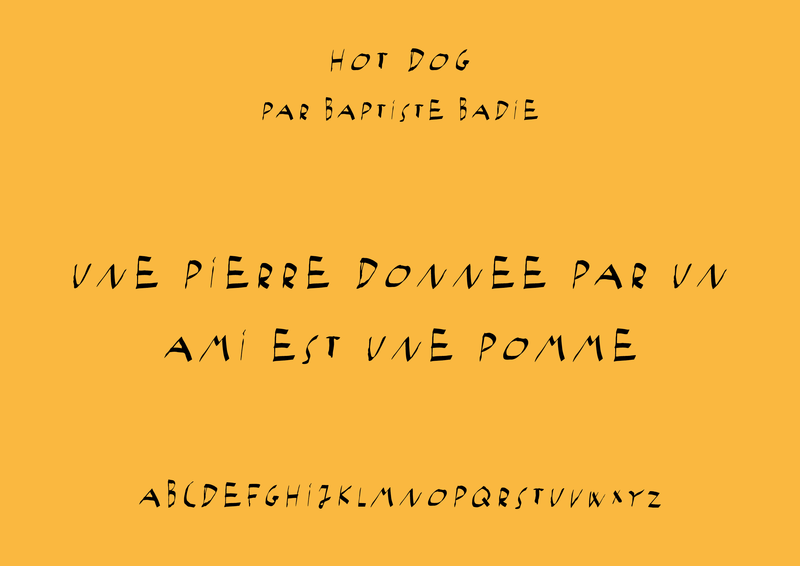 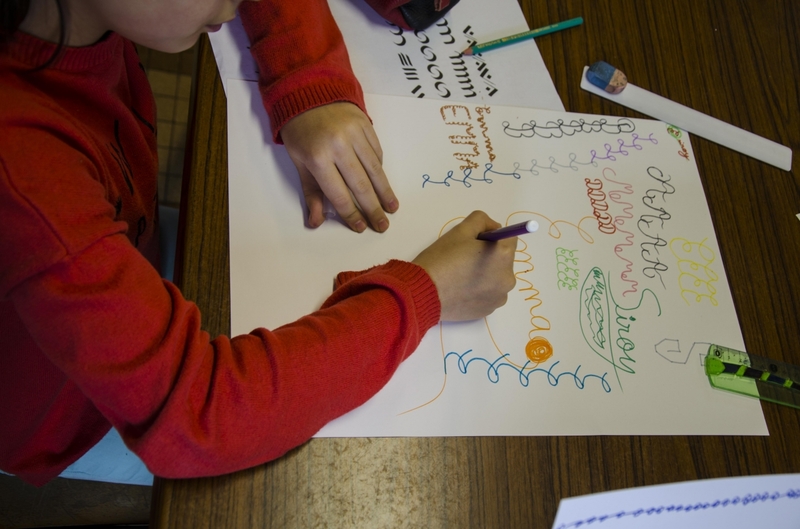 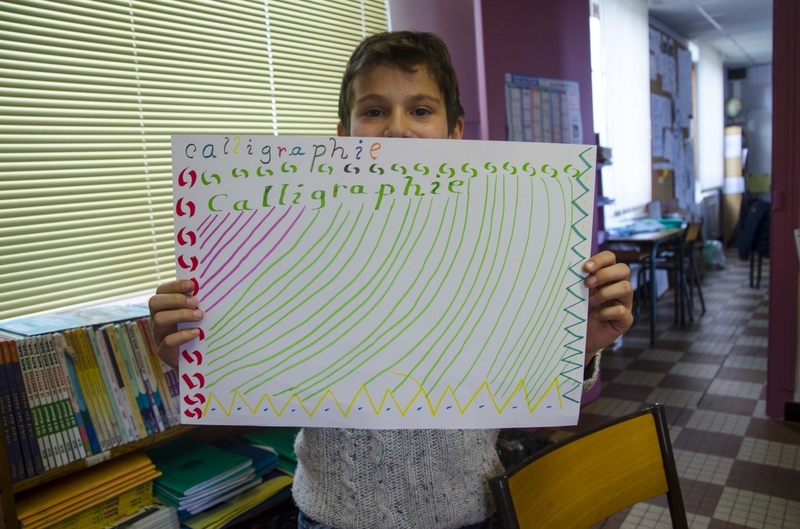 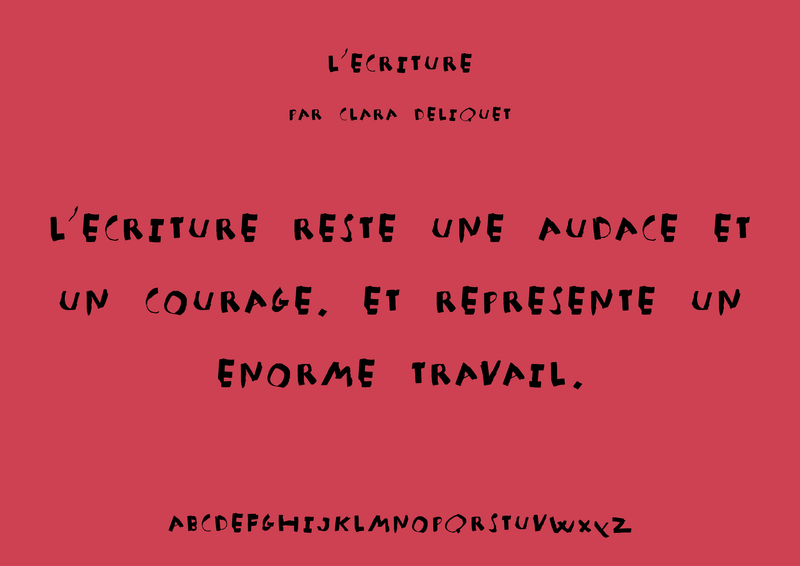 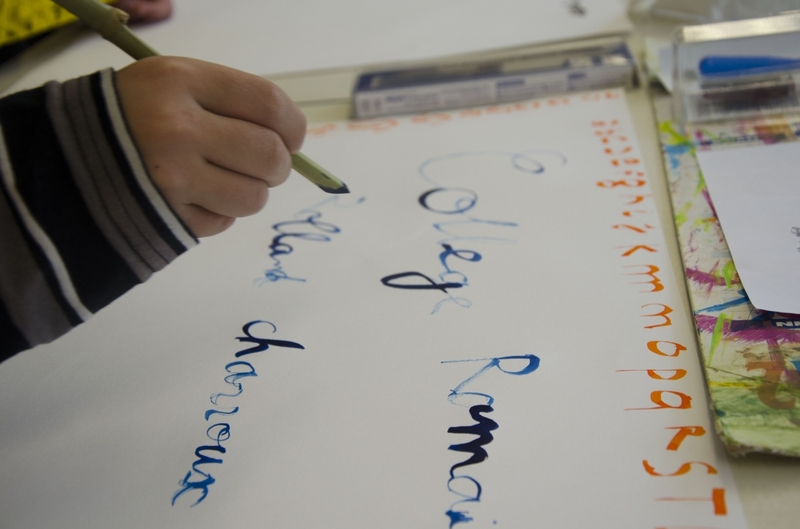 During a cycle of workshops, which happened all along the first semester of 2017, the students of the École Primaire Publique de Saint-Romain and of the Collège Romain Rolland de Charroux created a typeface based on their handwriting, either spontaneous or stylised. 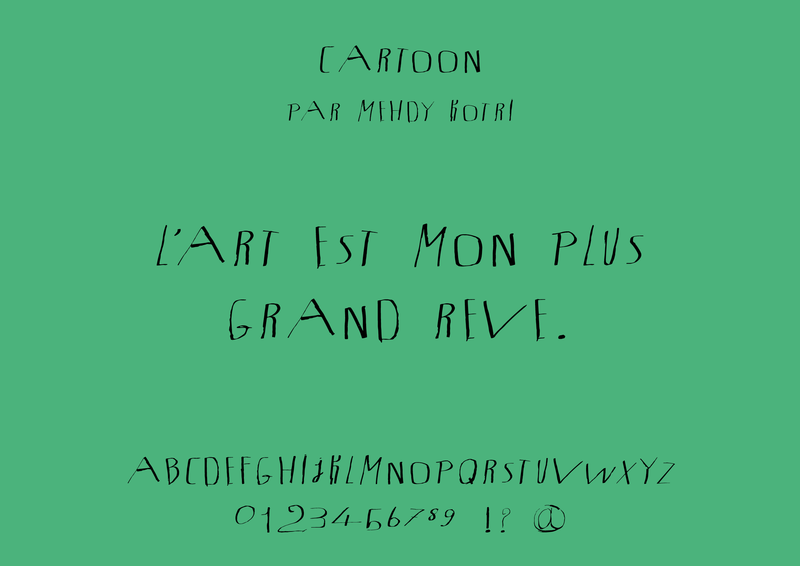 By choosing a specific tool, they drew the alphabet’s letters and the other symbols that make part of a font. 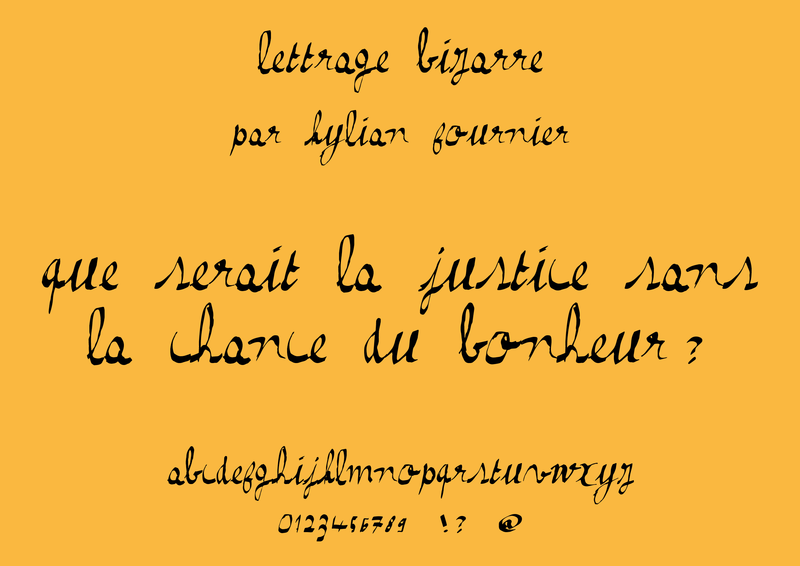 The focus was set on the gesture, and on how typography, in spite of its domesticating aspect, offers unique possibilities of expression. 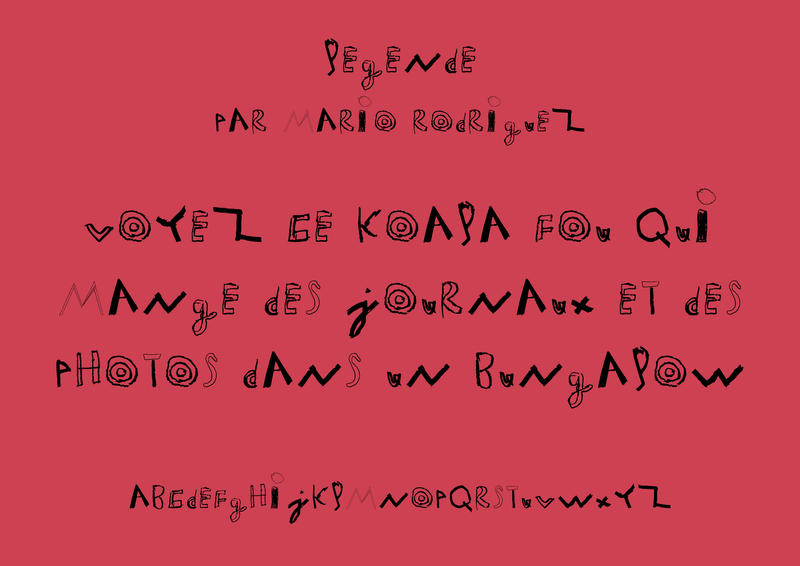 The resulting script was digitally edited by myself and eventually exported as a viable font. 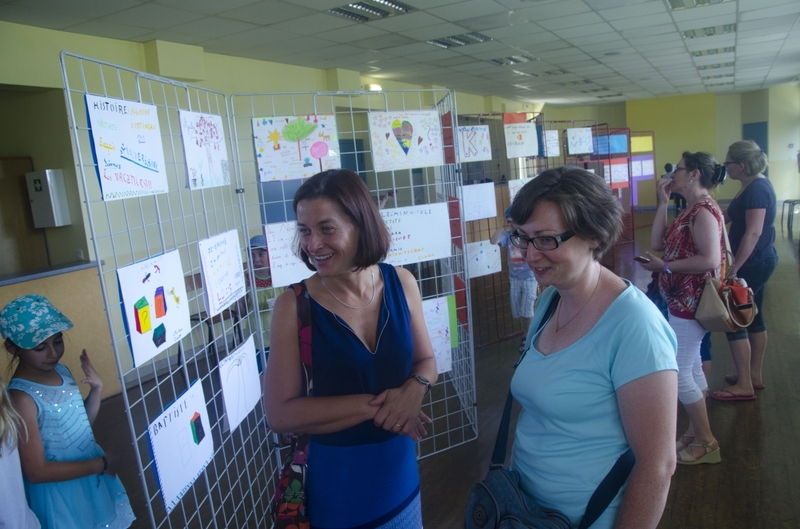 By the end of the cycle of workshops, an exhibition was held to present the production of the students, and the publishing of a catalogue is in progress. 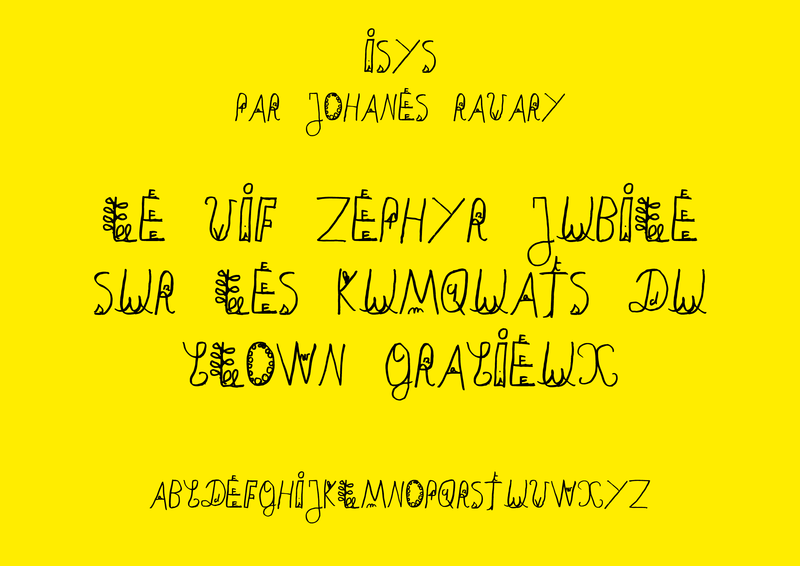 Below you will find the typefaces created so far. 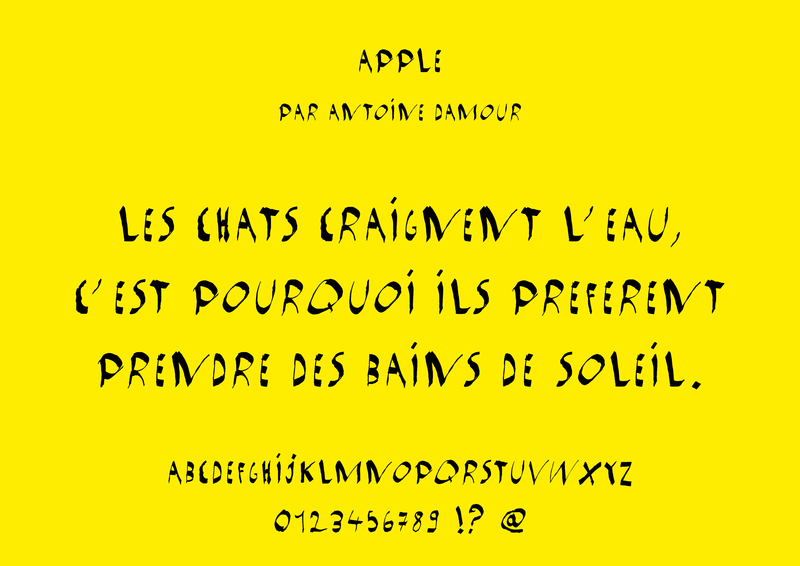 To download them freely follow this link. 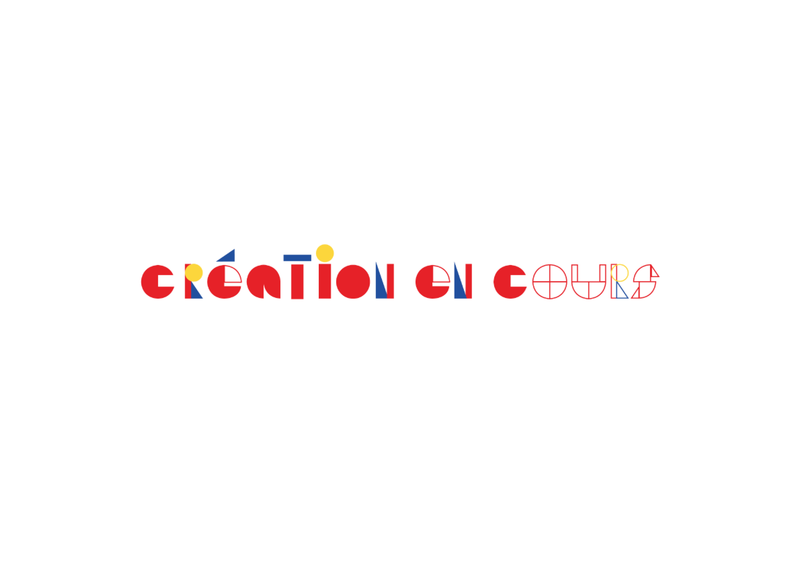 To read the complete journal of the artistic residency, please consult the website of the Création en Cours project (in French).